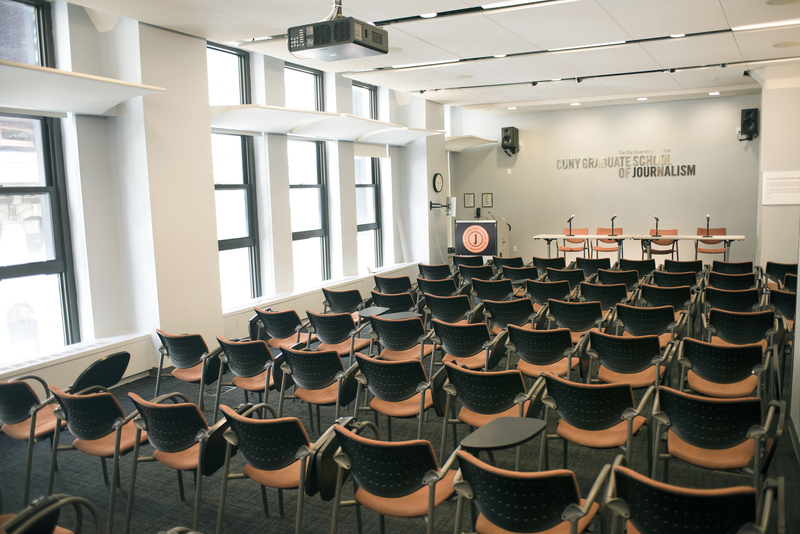 The Craig Newmark Graduate School of Journalism at the City University of New York rents out its state-of-the art facilities at highly competitive rates to both CUNY and non-CUNY affiliated groups for meetings, conferences, workshops, receptions, and television and audio productions. 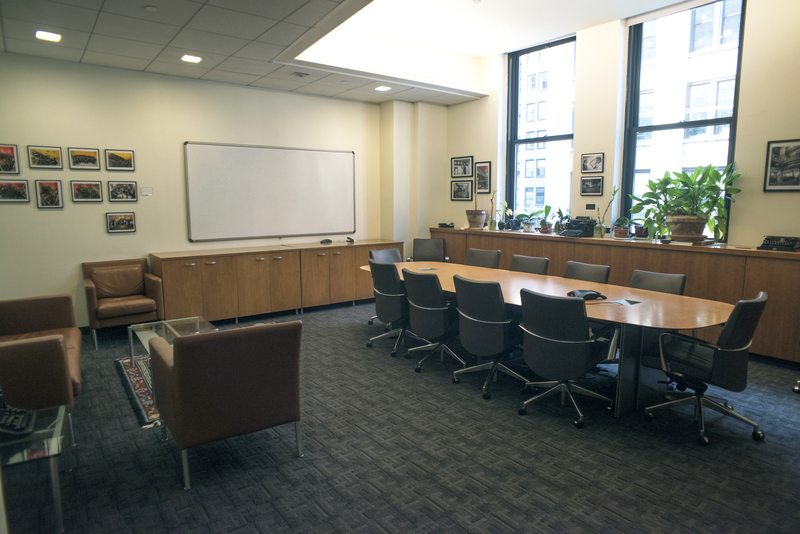 Conveniently located in midtown Manhattan, the all-wireless campus offers internet connectivity, presentation capacity, teleconferencing, live streaming, and tech support. 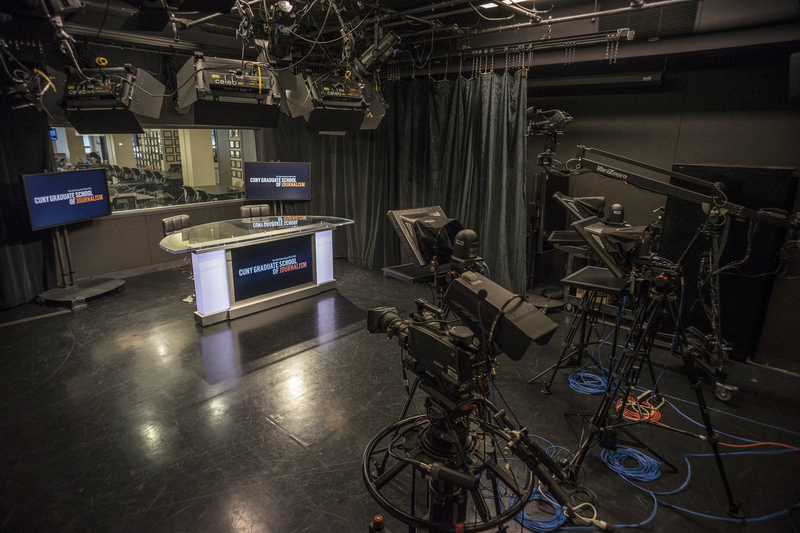 We feature a wide range of spaces, from a newsroom and reception area to classrooms, computer labs, and fully equipped broadcast and radio studios. 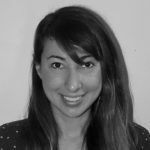 Please click here to read our code of conduct for all visitors and guests to the Newmark Graduate School of Journalism. 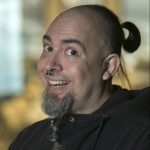 Room photos by Marco Poggio and studio photos by John Smock. 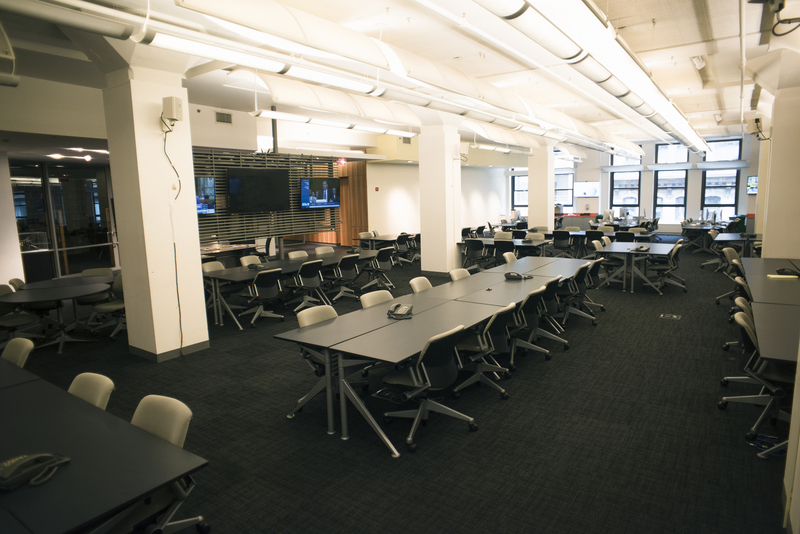 Our newsroom can seat up to 200 people, depending on how you want it configured. It features a media wall with prominent display monitors, abundant power ports, and an elevated platform for speakers and panels. Room 308 is our largest classroom and can seat up to 74. We can provide theater-row, U-configuration, and boardroom seating for film screenings, panel discussions, speakers, and meetings. 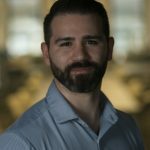 We have classrooms that hold 20-28 people and feature a whiteboard, a podium with a desktop computer, an overhead projector, and a retractable screen. Our TV and video studio can host live interviews, live streams, photo shoots, and a variety of video production projects. 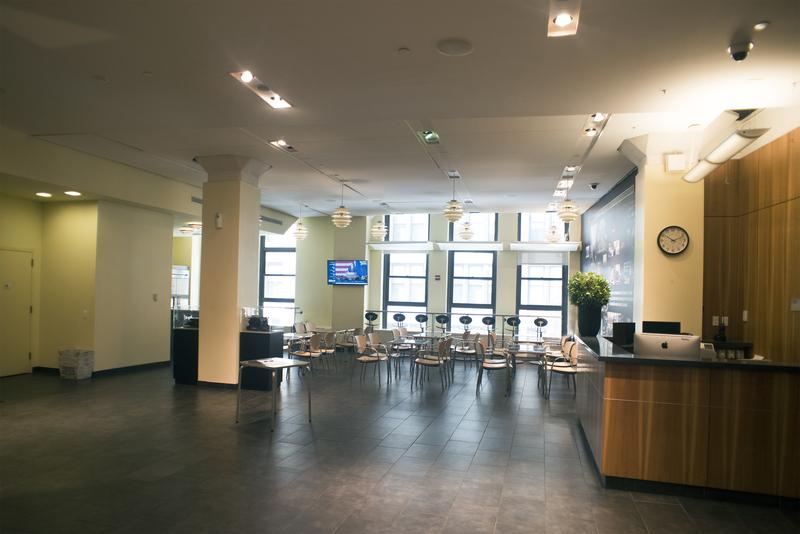 Our lobby and cafe area can accommodate 150 guests and is ideal for receptions. Our two computer labs house 16 desktops each, loaded with Adobe After Effects, Photoshop, and Premiere; ProTools, and other key software. Both rooms also have a podium and desktop computer, projector, and retractable screen. 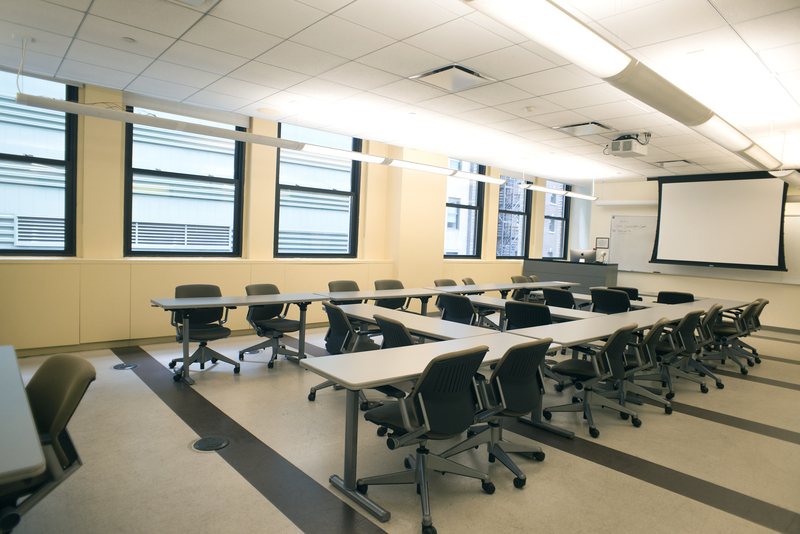 Perfect for team meetings and presentations, this room can accommodate a webinar or GoogleChat/Skype video call. The table seats 12, plus there’s a seating area on the side with a small leather couch and two armchairs. 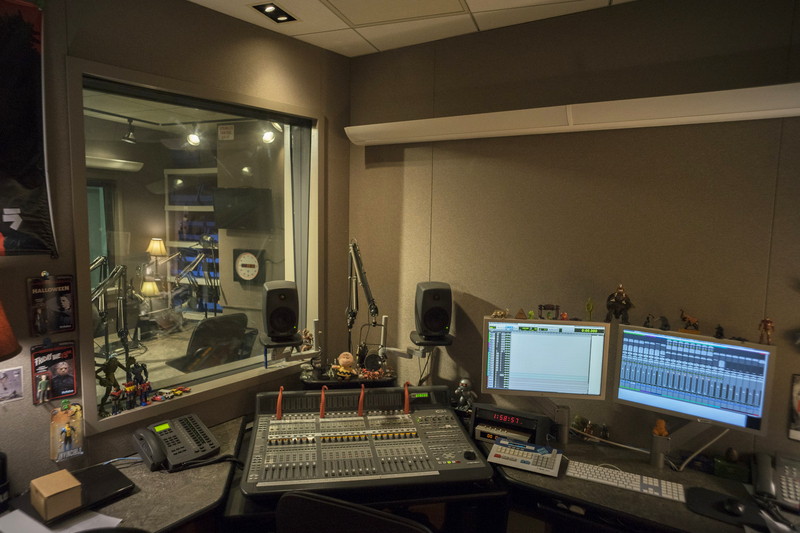 The radio studio is equipped for voiceovers, interviews, phone recordings, ISDN connections, and a variety of audio projects. 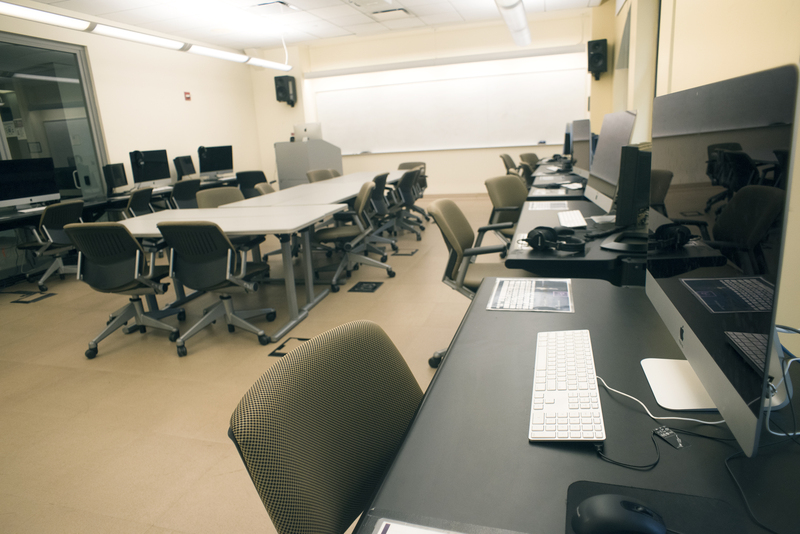 The best way to reach us is by email at rentals@journalism.cuny.edu, but you can also give us a call.